The average rate of a flight from San Francisco to Luxor is $2,428. By booking a SFO-LXR airfare one can collect an average 15.5 thousand frequent flyer miles. A flight from San Francisco to Luxor will be some $2,428 at the time of low season whereas it goes up at the time of high season. Interesting fact that the best price discovered in the last 12 months is as little as $1,434 round-trip for a Lufthansa flight found for October 2013 on Faregeek. 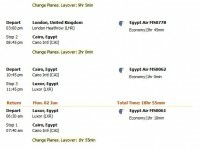 High travel season is November to February in Luxor so airline tickets can get very expensive around that time. Provided that you would ever be looking for budget rates, it is smart if you start out during May to September, for low season, because than airlines tickets become more affordable. We say that altogether the nicest time to travel to the city from San Francisco is between the two, during March to April and late-September to late-October. 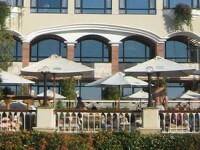 The only airport of the city, Luxor International, is circa 1.18 miles away from the central part of the city. The longest flight starting from Luxor is arriving to Manchester and it is 2,620 miles (4,217 km) long. 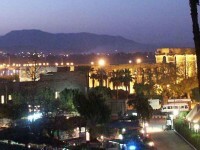 The city of Luxor is served by 1 airport, namely Luxor International. Egyptair operates the briefest flight to Luxor; it is a 192 miles long flight leaving from Sharm El Sheikh. San Francisco is connected to 101 various airports in total.